A while ago I received my very first press invitation by Cartier. (yes, I admit I did a little happy dance ;-) ). They asked if I would like to come to their press event and admire the latest collections. Who would say no to that, right?! Like any other girl who likes diamond, luxury and high quality leather goods, I said YES. I spend a lovely afternoon at the Cartier store in Brussels along with other journalists discovering the enchanting collections. What surprised me the most was the fact that we (and customers) can actually try out the jewelry and feel the fabrics of the Cartier leather goods. I was also pleasantly charmed by the fact that the Cartier staff invites you to feel and therefore experience their new leather goods and jewelry. I don’t know many luxury brands that let you feel their latest bag while holding a glass of champagne hihi ! Love it! 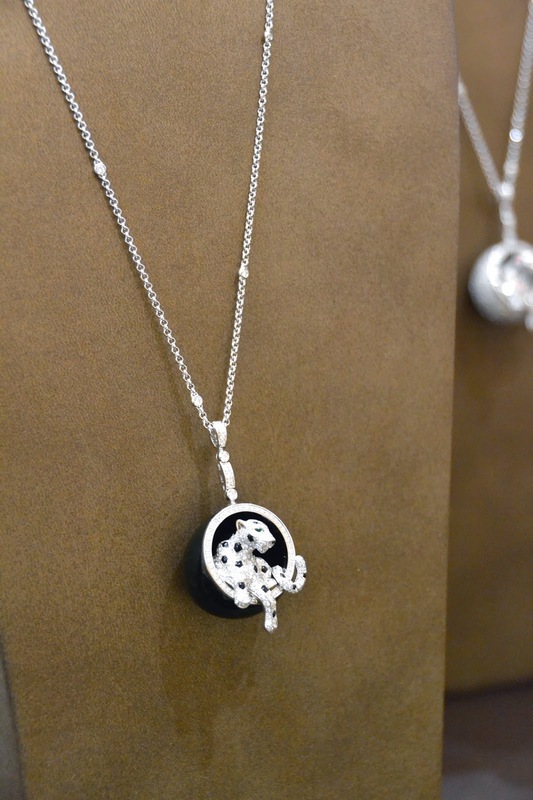 I especially loved the Panthère jewelry collection . The iconic panther in a modern twist. At 1 point I tried on a ring that costs as much as a small house! But, before you say ‘that Cartier is only for the rich’ .. that’s no longer the case ! Cartier has come up with a more affordable line. How brilliant is that! After the lovely afternoon it was time to go back to reality, but I didn't leave empty handed. I received a lovely goodiebag with (no not jewelry ;-) ) but a premium cru baby bottle of Cartier Champagne and the most beautiful press kits I've ever seen ! A special thank you goes out to Cartier for making me feel welcome and being so friendly ! Thank you ! Pure luxe, echt prachtige items!